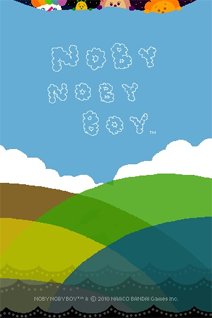 a minimalist text based weather forecasting app that dictates the weather in a rather humorous tone. 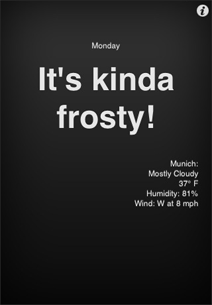 just set your location and it simply tells it like it is... when its cold "it's kinda frosty!" etc. also provides temp, humidity and wind speed. 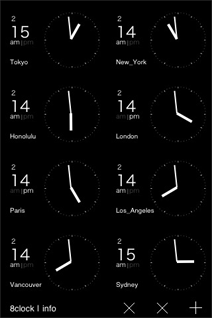 a minimalist world clock which allows you to set up multiple viewable timezones. you can select a couple different clock styles and b/w color combos. one more fantastic clock design for the collection! 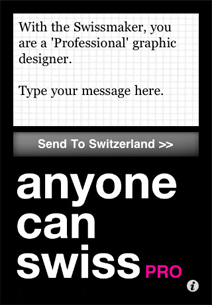 this neat little app creates simple and well formatted swiss typography posters with nice line breaks. you enter your message, select an image from your library (optional), and voila. its great for making elegant text based wallpapers too! 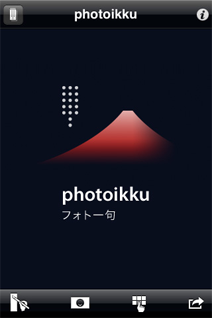 this little app enables you place a "haiku" or "senryu" over an image to create a piece of art and text (japanese or english). 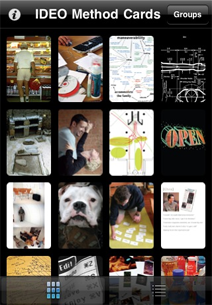 you can layout up to 3 lines of text with vertical or horizontal orientation on any photo from your library. you can also of course save or share your creations. second game from swiss designer nonverbal, this one is all about connecting dots using your finger to draw folded paper strips. elegant and well crafted! 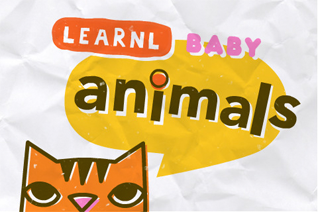 super cute and clean illustrated reactive touch flash cards for tots. its a simple three touch process to see a picture, word and photo. a total of 20 cards. wow, i posted on method cards a few days ago, and commented on how I wished IDEO would publish their app sooner than later and voila, here it is today! the basic card app is free with 8 randomly selected cards, its another few bucks (pounds) for the full 51 card set. of course I bought them on the spot! this is a super simple clock app that you can leave running when your phone in its dock. it's basically a digital sculpture. 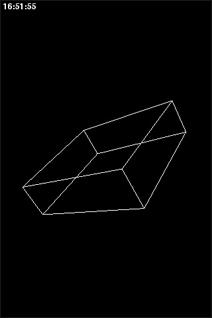 a box, turning on its own axis at a constant speed. the size of the box reflects the actual time the width, height and depth are hours, minutes and seconds. 23 times a day, for one second, the box is a cube. thats it. thanks for the suggestion from Andreas Gysin himself! the long awaited release from Keita Takahashi who brought you Katamari Damacy, one of my fave all time game legacies!. its reactive, silly and musical as always. you can do so many things its hard to describe. best to buy it and explore for yourself! this too cool! 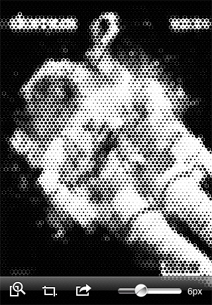 this is a very cool and simple photo manipulation app enabling you to create striking halftone patterns from your favorite photos. 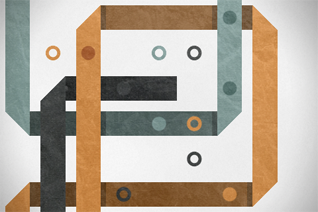 you can choose your dot pattern and size, zoom in/out and of course share it via email. elegant and simple design.